Apparently April has been the snowiest month of this winter, here in TO! I just saw some hail falling, too. Yeeesh. 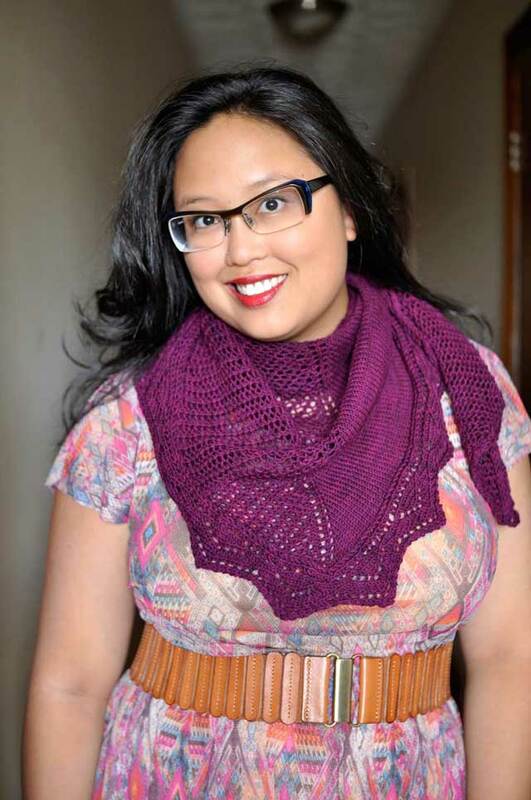 I’ve been working on an XL version of my Milkweed Shawl pattern – which originally came out in 2008. That’s seriously an AGE in digital knitting patterns! It needs some new photos and layout to freshen it up, and I’ve been meaning to do a larger version for years. 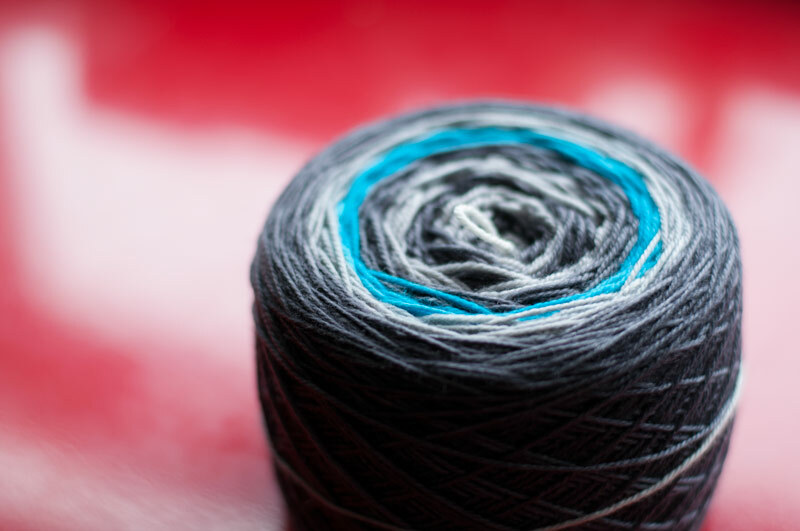 I’m actually striping 2 different colourways of Cashmerino 20 from Sweet Fiber Yarns – I had bought 2 different ones by accident, but they look great together and blend really nicely. I’m at the point now where I’m starting to worry about running out of yarn…here’s hoping I don’t have to rip back again. I hadn’t spun in weeks, but got back to the wheel this past weekend. This 50/50 merino/silk from Woolgatherings on Etsy is so soft, and the colours are just gorgeous. 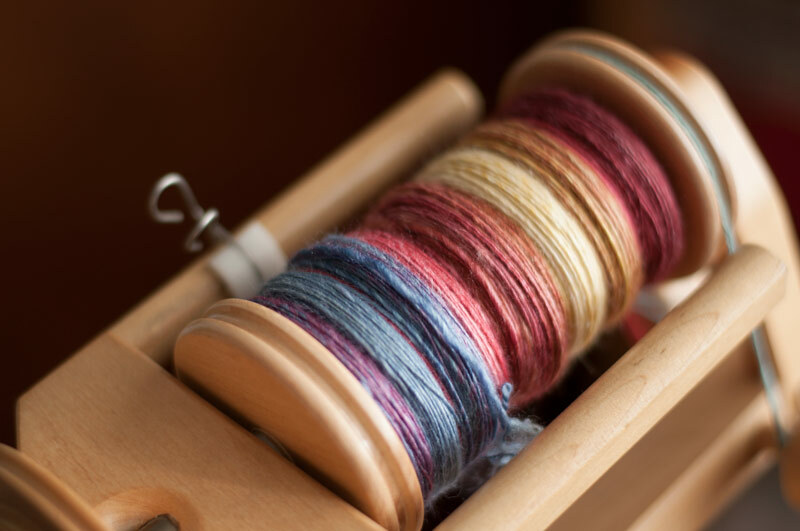 I split the top vertically into 2 pieces and am spinning each one separately, then I’ll chain ply to preserve the colours. 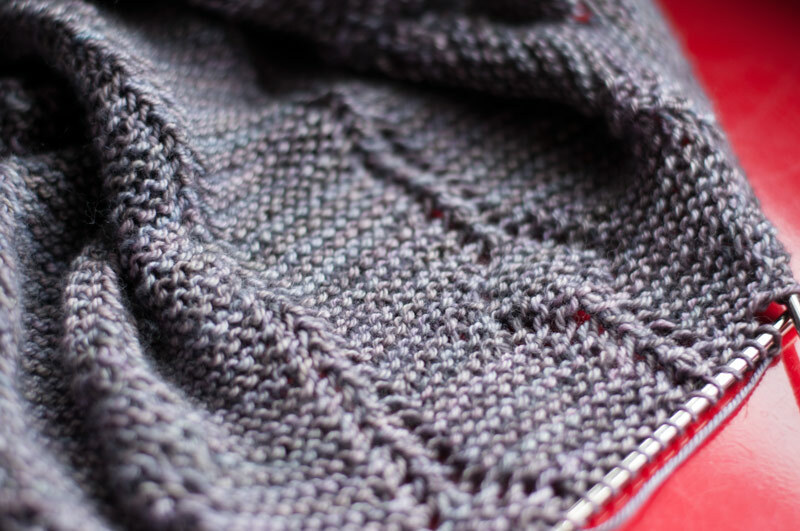 I really wanted this yarn to be a heavier than my “default” thickness (which is pretty thin), so I’m aiming for about a worsted-weight 3 ply. 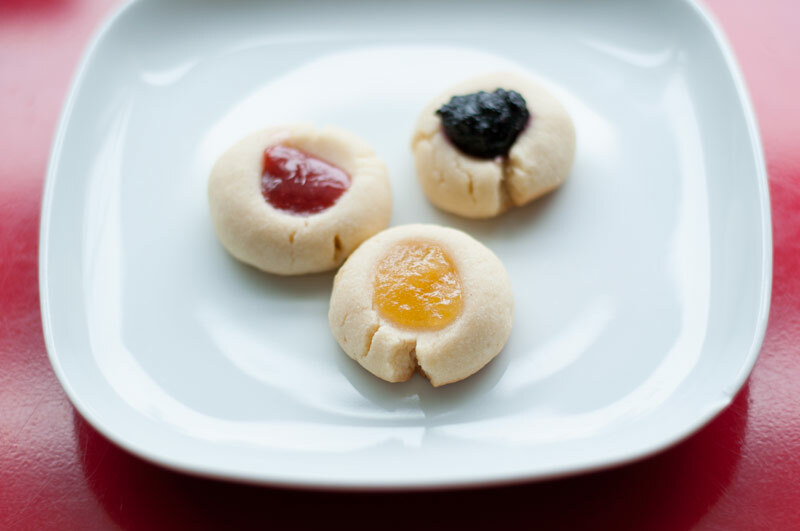 This week’s cookie is Jam Thumbprints from Love and Olive Oil, spurred on by the several half-full jars of homemade jam in the fridge! They’re filled with raspberry, blueberry, and meyer lemon marmalade. They’re pretty, tender, and way too easy to eat! Here’s hoping Spring is actually spring-ing where you are.